generated value seems to be catalyst for the success. online social practices and extends understanding of consumer-generated value creation. Pages and what they gain from interaction with other members and with the brand itself. 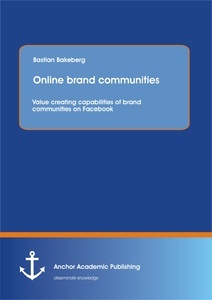 online and how important these inter-member bonds are in virtual brand communities. highlighted, as this study builds on the results of this influential work. researcher's enhanced understanding of the chosen communities. relevant data quotes and screenshots of the Fan Pages. impacting on the results of this study are highlighted. ad revenues on Facebook will further grow in the future. value created through online social practices which can be applied to brand strategies. consumer-brand-relationships, the concepts of fandom and brand devotion are explored. value and comprise two areas, functionality and emotional/symbolic meaning (Kotler et al. symbolism), but also what is conveyed to others through consumption (social symbolism). lives (Breivik & Thorbjørnsen 2008). various types of relationships with brands, which are formed in private but also in public. emotional) to the lives of consumers. these cannot reciprocate; and interaction is essential for relationships (Grönroos 2000). animation/personalisation and anthrophormphization of brands. communication (Raacke & Bonds-Raacke 2008; Kent 1998; Briones et al. 2011; Colgate et al. relationships with consumers than traditional targeted communication (Geissler 2001). differences between online and offline relationships are emphasised (Colgate et al. 2005). 2005; O'Malley & Mitussis 2001), which is the case on Social Networking sites (Taylor et al. 2011; Boyd & Ellison 2008). with other consumers or brands (Armstrong & Hagel 1996). 2004; Pichler & Hemetsberger 2007). Fans want to support brands and take part in brand communities (Muñiz & O'Guinn 2001). considered as dysfunctional, since fan-behaviour is mostly regarded as not normal. admires sooner or later (Andersen 2005). the literature. However these are distinct constructs and are differentiated in the following. O'Guinn 2001). 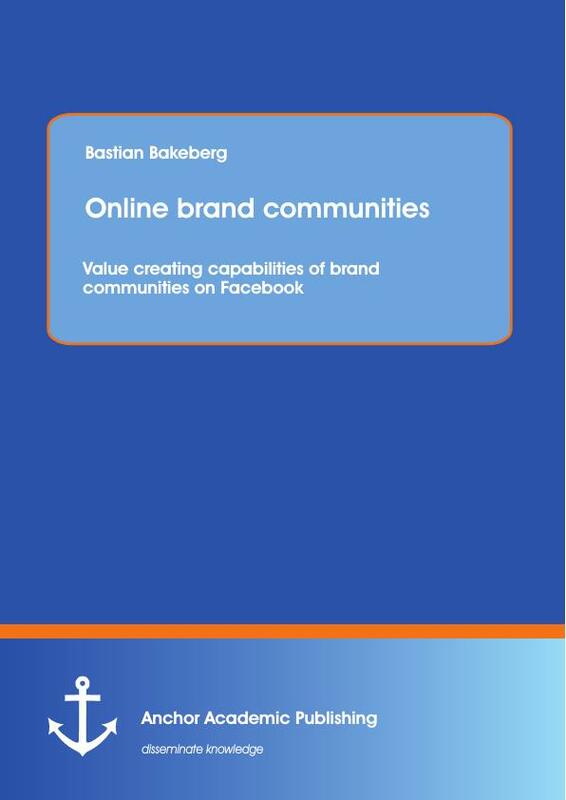 Brand communities are investigated further in the following chapter. surrounding culture and take it into negotiation (Muñiz & O'Guinn 2001). Cova et al. 2007) and are networks of people who have different characteristics e.g. demographics (Rosenbaum-Ellliott et al. 2011; Luedicke & Giesler 2007; Cova & Cova 2002). follow tribes no common rules (Muñiz & O'Guinn 2001; Cova & Cova 2002). defined as regular gatherings of people acquiring common interest (Andersen 2005). focus on the active role of consumers in value co-creation (Hatch & Schultz 2010). experience a feeling of community without social engagement (Carlson 2008). Watt (2010); Luedicke (2006); Mühlbacher et al. (2006); Hatch & Schultz (2010); Cova et al. (2007); Cova & Pace (2006); Komito (2001). this depicts that social aspects of life are essential in postmodernism (Cova 1997: 307).